THE SKINNY: First, red lip gloss is awesome. 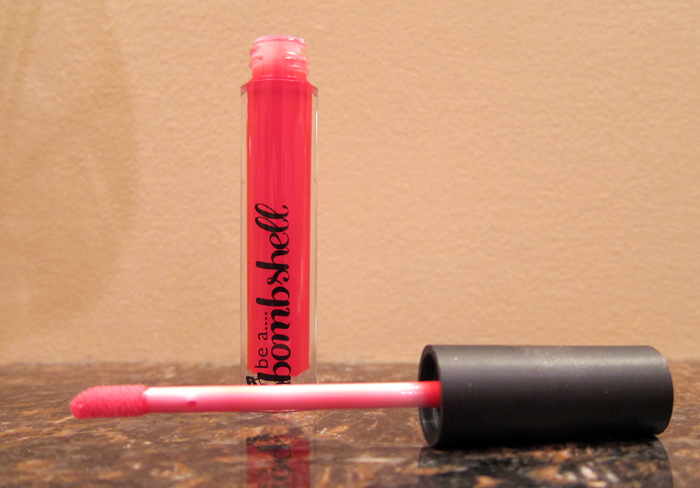 Second, this red lip gloss from Be a Bombshell is a bright, pretty, primary red. Third, you have to love a lip gloss color called "hot mess." This lip gloss has a thick, almost sticky consistency. It's not icky-sticky, but hearty-sticky. It goes on nice and smooth and feels like it has endurance. The shine lasted about an hour, the tint for several more. In my book, that's good for a gloss. Because it's a darker color, you really need lipliner with this. But the extra effort is worth it. I love the color (and I'm not normally a red-lips kind of girl). KEEP OR TOSS: Keep. This red looks great with simple brown eye shadow and liner. CHECK IT OUT: This gloss comes in seven colors.